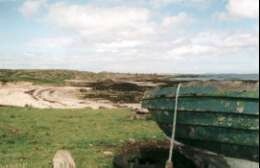 The site of the Pier and refuge dock built by Stevenson to aid in the construction of Skerryvore lighthouse which lies off the coast of Tiree. 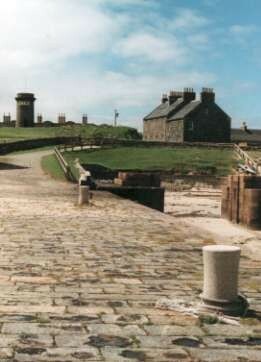 The Square was built by Stevenson and planned to be " a modest habitation for the lighthouse keepers and their families". 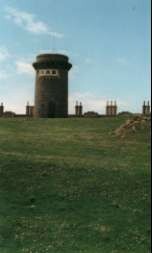 The Tower, 30 feet high on Barragho Ridge, was erected to enable contact to be maintained with the Lighthouse by the means of flag signals. The original telescope is still in the tower together with an exhibition of work by the school children of 20 years ago.